Don't dawdle, though, cuz lychee is a seasonal fruit. It'll be around for about a month and then the Queen is gone until her grand appearance next year. And now is the peak of the season! 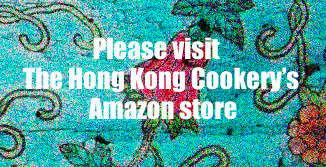 Get your fix at the Hong Kong local wet market or at your local Asian market. Look for bright red plump lychee. Avoid green, brown or shrunken lychee. Try to get it with a bit of stem on if you're going to be keeping the lychee around for more than a day. Even better, the 糯米糍 lychee is back, the lychee that is more juicy fruit flesh than seed. This is the best kind of lychee, varying by year and the crop, sometimes you get 糯米糍 lychee and sometimes you don't. Last year was a great year for these small seeded, juicy fleshed lychee and this year has shaped up into a continuation of the same. For more on Lychee, Queen of Fruits, stories, history and storage tips see our previous post.